The Vieux Carre (pronounced voh care-eh) is a classic cocktail straight from 1930's New Orleans. It is a complex and fascinating drink that is as popular today as it was when it was first created. This cocktail is a short, slow sipper that begins with equal parts of rye whiskey, Cognac, and sweet vermouth. Not one, but two bitters are used and there is a hint of a classic herbal liqueur to give it even more dimension. If you are looking for a truly great cocktail, the Vieux Carre is it and it is one of the signature drinks of the Big Easy (New Orleans). Tip: Do yourself a favor and don't stray from the recipe, this is the original and it is the best. Combine the ingredients in a mixing glass filled with ice. Walter Bergeron created the Vieux Carre at New Orleans' Hotel Monteleone in the 1930's, naming it after the French phrase meaning for 'old square' which referred to the French Quarter. This remains a specialty of the establishment and sipping one at the Monteleone's spinning Carousel Bar is a memorable experience. The recipe was first printed in the 1937 edition of "Famous New Orleans Drinks and How to Mix 'Em" and it was a big hit in its first years. Though it has never been forgotten, the cocktail did fall out of favor for a number of decades and went into relative obscurity. All of that changed during the recent resurgence of interest in classic cocktails and the revitalization of great rye whiskey. With the skills of bartenders and the availability of fine ingredients, the Vieux Carre is once again on every cocktail enthusiast's list of truly great drinks. Though the rye whiskey and Cognac are equal pours in the Vieux Carre, the rye takes center stage. It's naturally spicy flavor profile brings it to the forefront of this drink and that's why it's important to choose a great rye. Here are a few favorites that work great in the Vieux Carre. 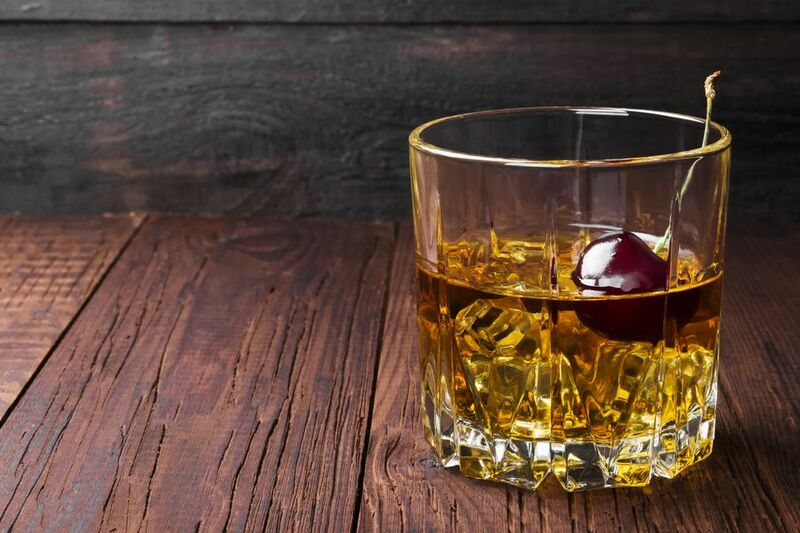 The market for rye whiskey continues to expand and this recipe is a perfect place to explore any new bottle you come across. Many of the best rye whiskeys are coming from small craft brewers so look around for bottles that may not get national attention. There are some hidden gems out there. How Strong Is the Vieux Carre? As you may have noticed, most rye whiskey is bottled above the standard 80-proof. This higher strength allows those spicy rye notes to really stand out and adds to the depth of the whiskey. It also makes rye a perfect option for any whiskey cocktail. With that noted, we're going to estimate the Vieux Carre's alcohol content using a full-flavored, 100-proof rye whiskey along with a mild 80-proof Cognac. This will make the strongest Vieux Carre about 29 percent ABV (58 proof), one of the strongest cocktails you can mix up. It's potent, yes, but it's full of flavor and that is why the original recipe makes just under a 3-ounce drink. Go slow with this one as it is very easy to have one too many.